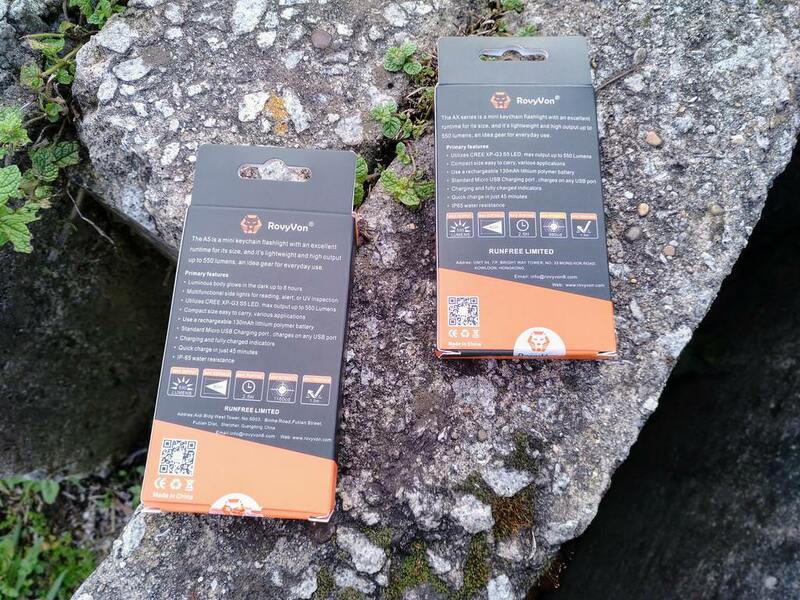 This is my review of 2 flashlights sent by RovyVon: RovyVon Aurora A2 and RovyVon Aurora A5R! No other compensation was given besides the flashlights and the included accessories! I got the A5R version that has White and Red sidelight LEDs. There is also the ARU version with incorporated UV led as sidelight! 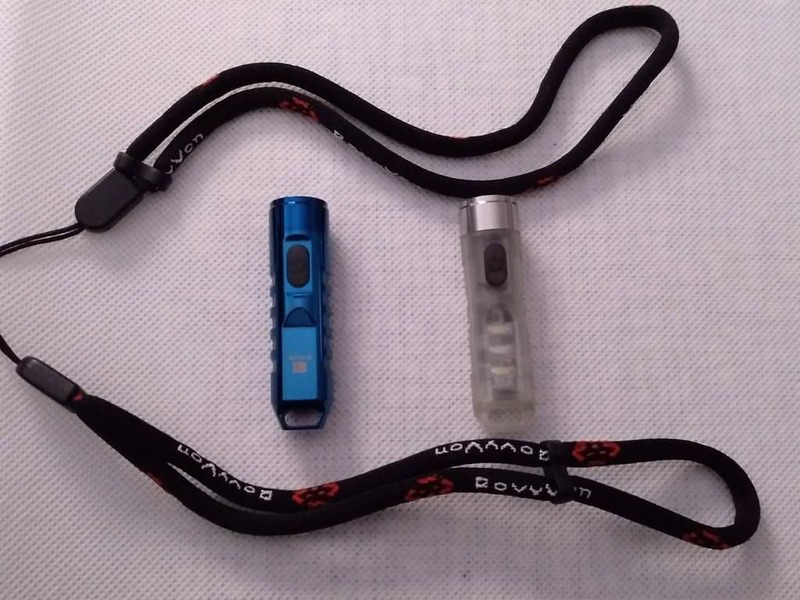 NOTE: RovyVon Aurora flashlights are sold in different options – host colours, host materials, LEDs, user interface – depending on the chosen version (from A1 to A6). 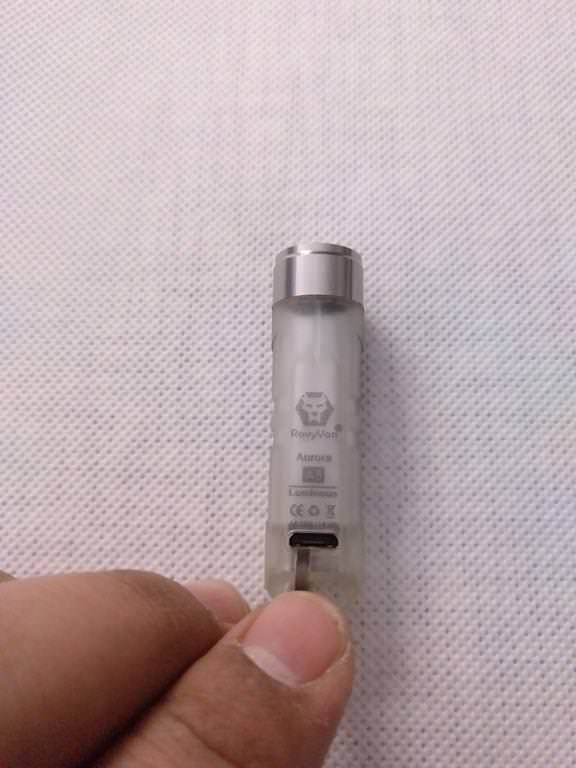 Besides this, there is also mention to a “built-in temperature controller”, what makes sense due to the high output and (of course ) temperature that these small lights reach! 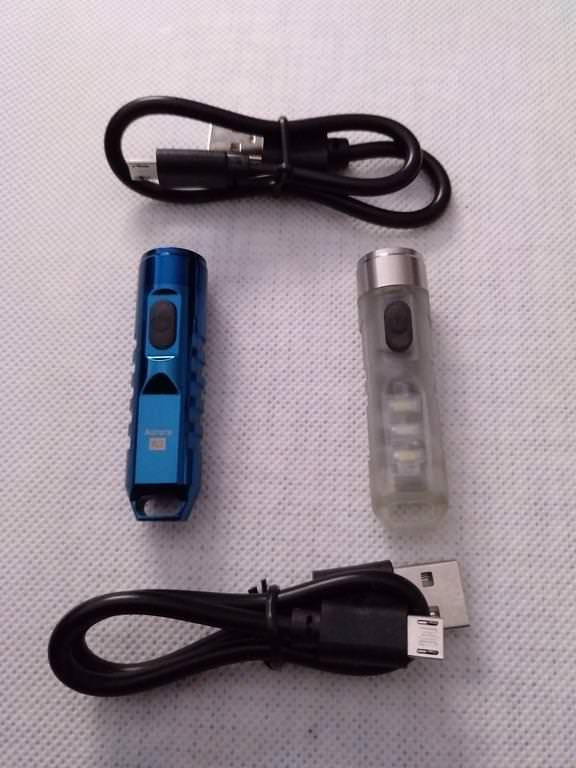 For both the Aurora A2 and Aurora A5R, the packaging and accessories are quite similar. 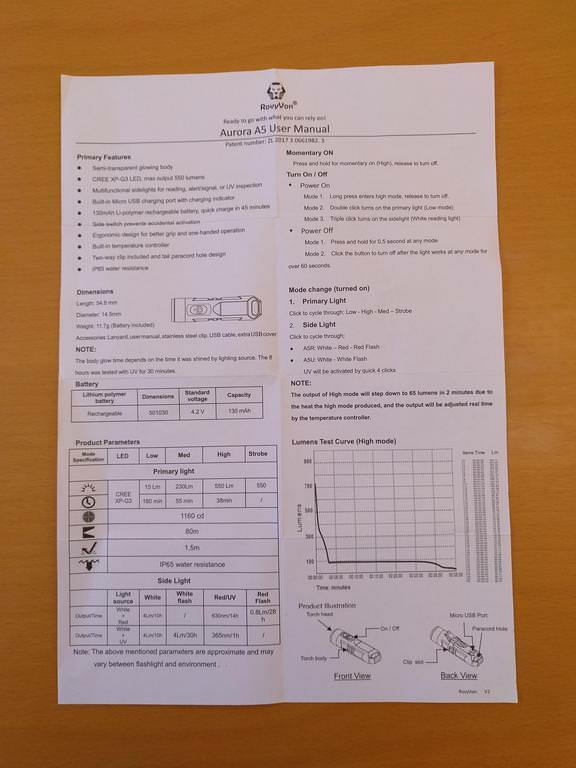 The major difference is in the backside of the boxes, where some specificities are pointed out, namely on the Aurora A5R. 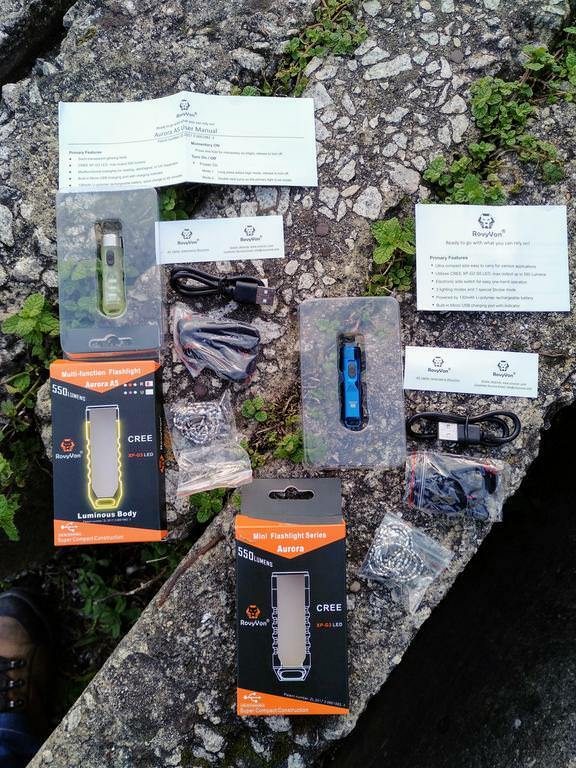 The boxes are compact but are protective to the flashlights and the accessories, specially in case of impacts. 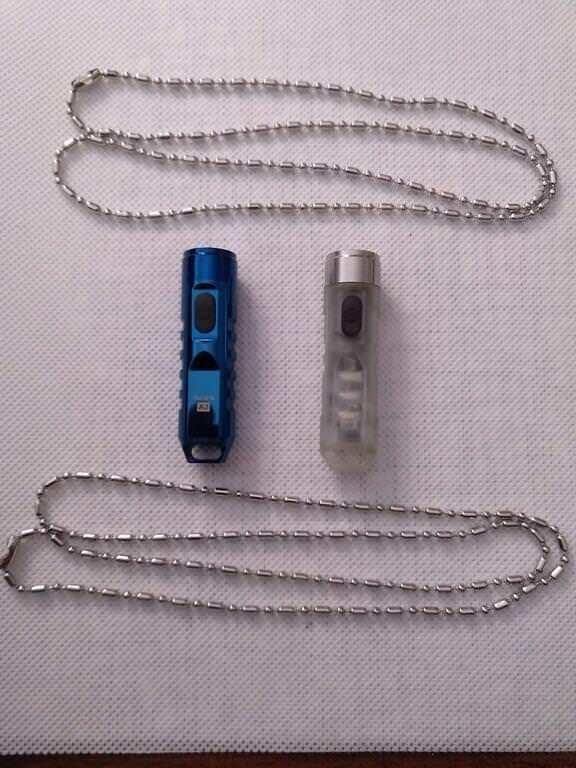 They arrived inside a plastic “box” with the flashlights’ shape so that they are correctly places and handled. 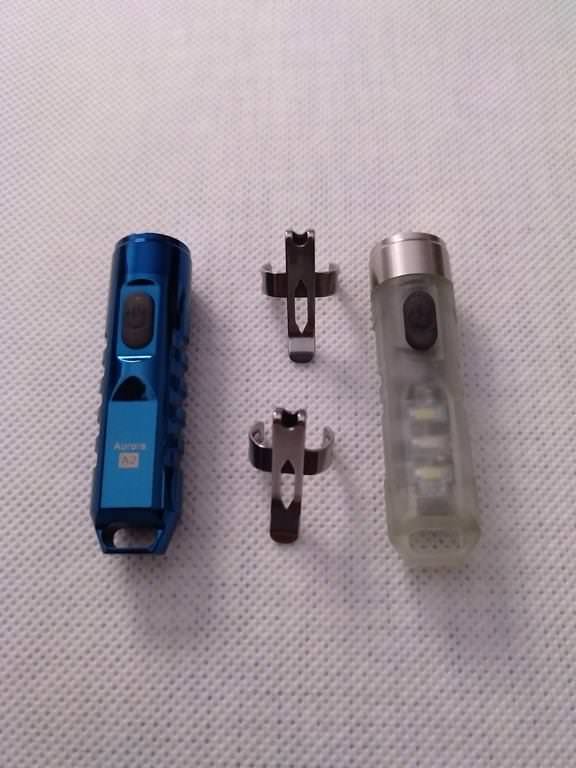 About the accessories for these lights, what we got then? 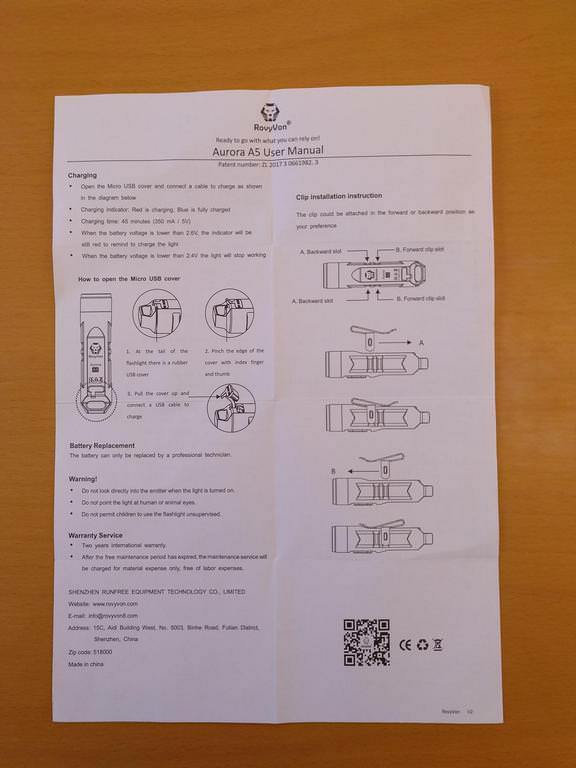 Here, only the User Manual is different as it will address different specificities of the flashlights. 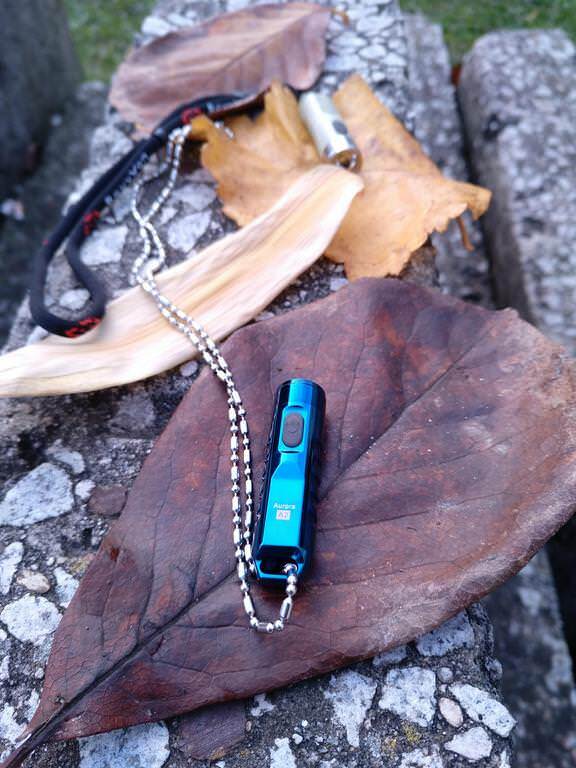 All other accessories are the same for both flashlights. Now let’s go onto a flashlights’ overview. I guess receiving them on my birthday date was also a “bonding” factor, but…they are really good looking! 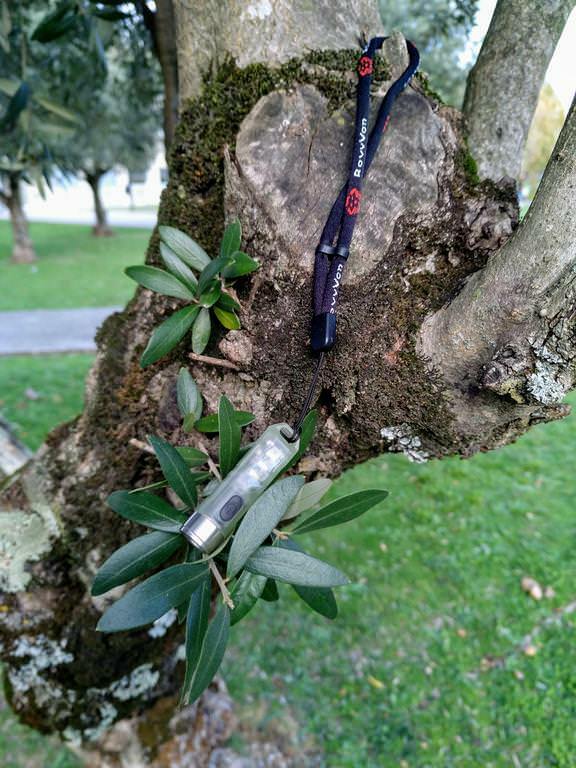 These are small lights, very well built, with a nice feeling on touch! We can feel their quality just for looking! 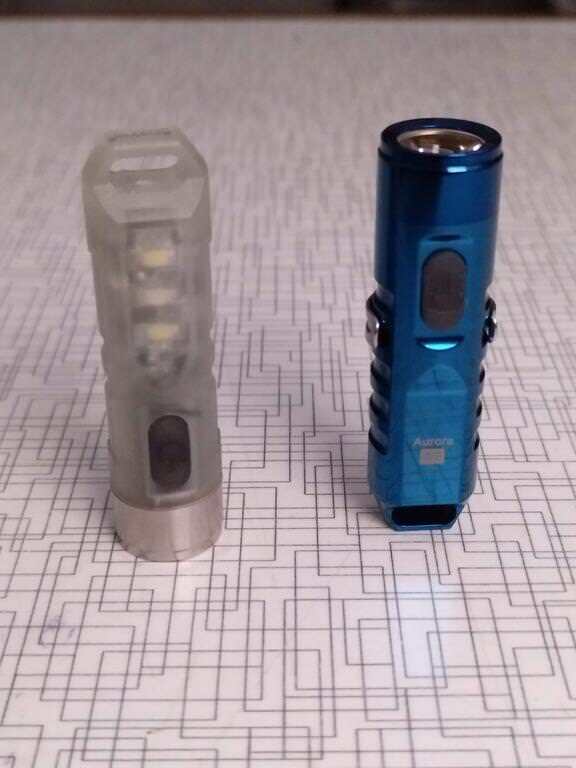 They seem to me, somehow, innovative not only by their looks, but also for being “high” output flashlights (for some seconds, of course, but… ) ! 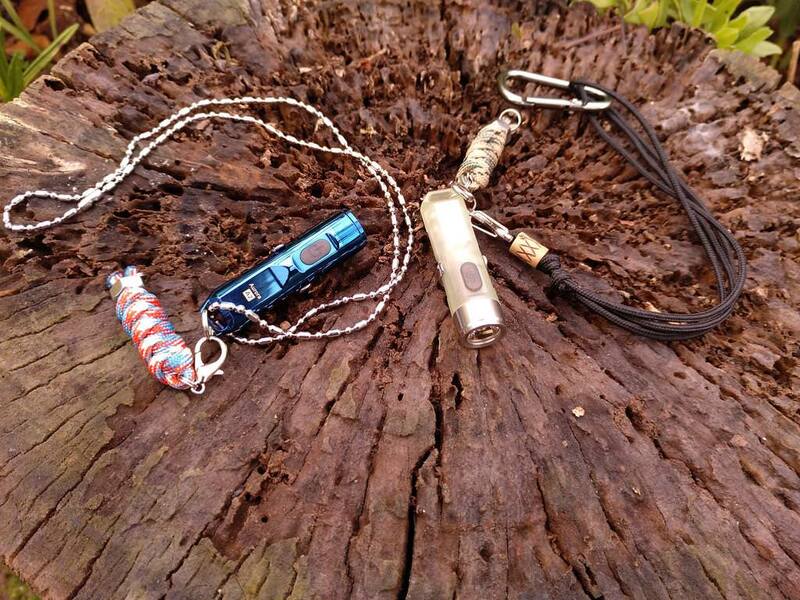 All well machined, with a classy touch here and there, but also that inspire confidence to get “beaten” in a keychain or a back pack or…whatever messy pocket or bag you want to put them into!! The differences are obvious just by looking, of course. 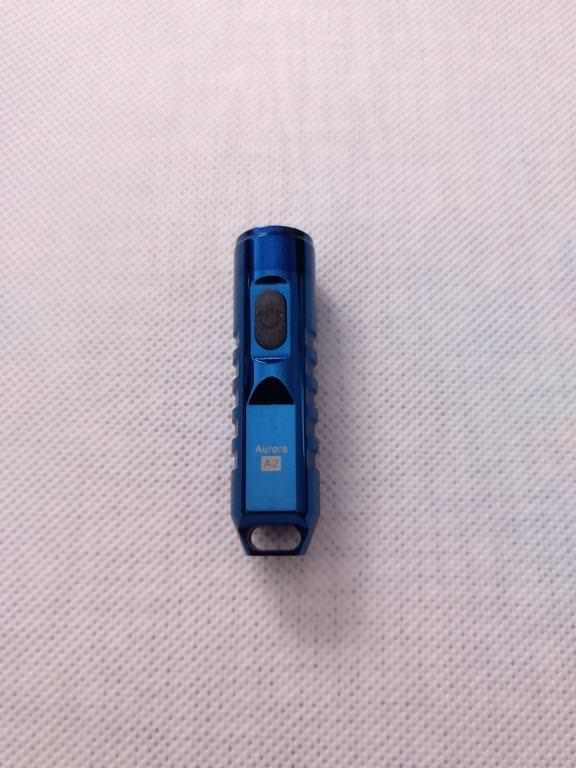 Please note that the Aurora A5R has a Stainless Steel bezel that adds some shinning to the glowing of this flashlight! 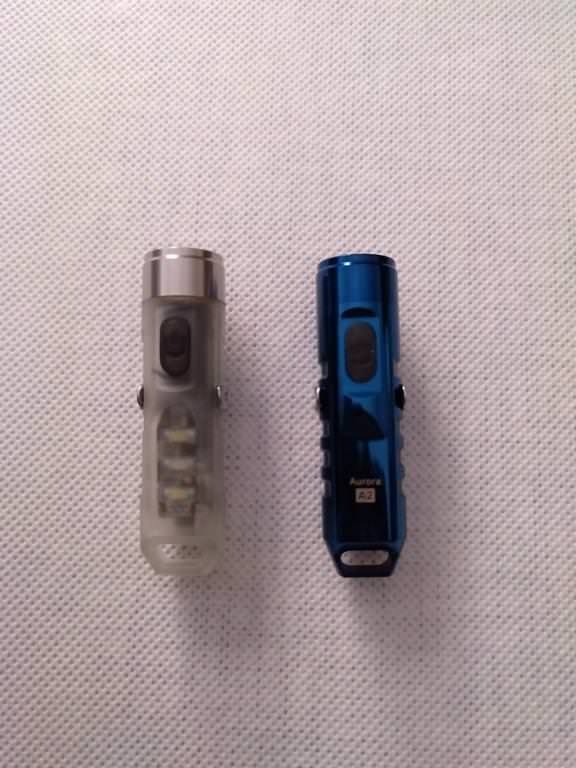 What can I show more about these cute flashlights? Oh yeah, the weight and size!! 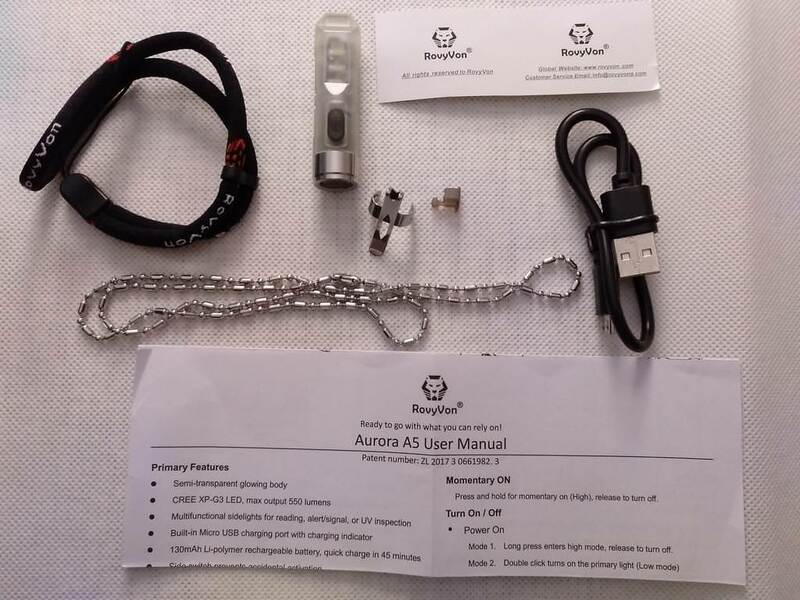 And now we’ll take a look at the RovyVon Aurora A2 & A5R with the accessories! 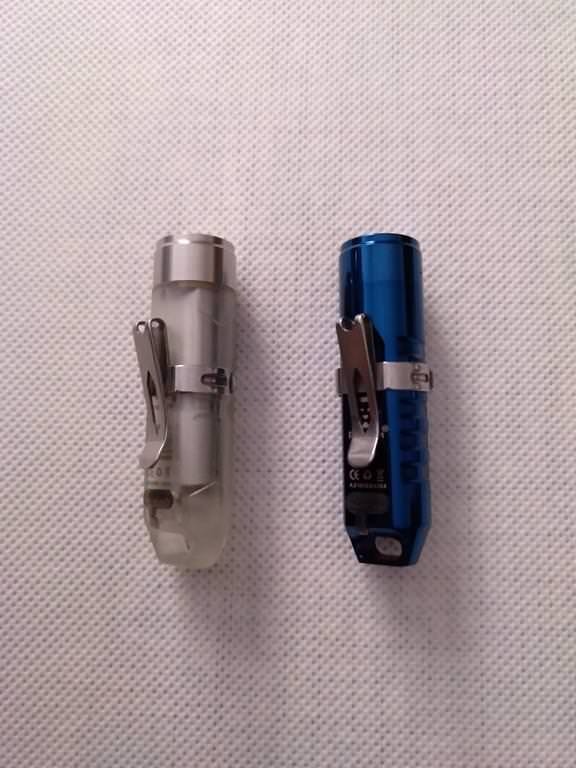 Please note that there is a different number of grooves in these flashlights that has to do with internal filling! 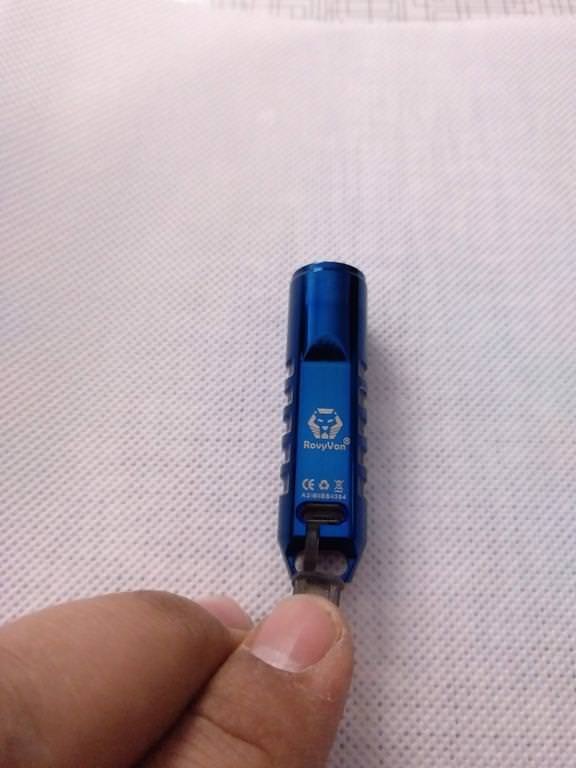 The A2 has 5 grooves for the clip, while the A5R has only 2! This won’t play a major role in usability, but for some people may be still relevant!! 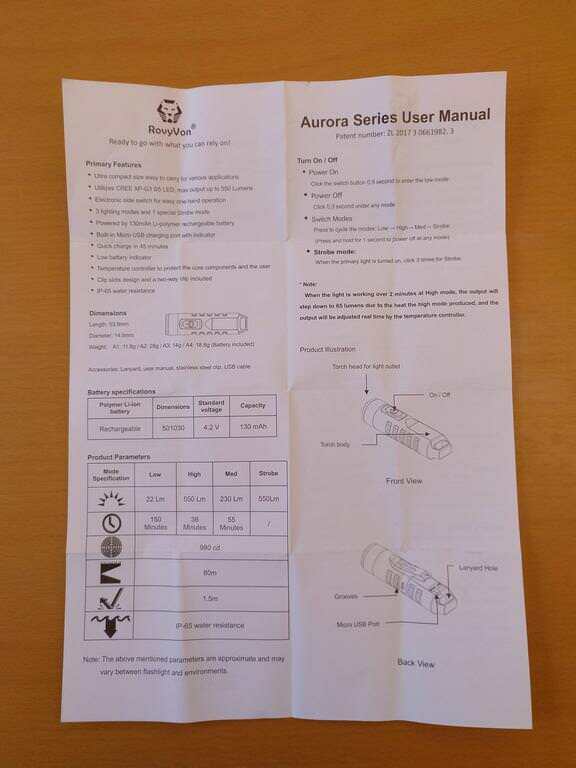 Well, I didn’t take a photo with the Auroras + the User Manuals, so you’ll only get the Manuals here I found them interesting as they present the features, some schemes and the specifiucations one need to use the flashlight correctly! It is will written, only in English. This one also includes a runtime graphic that I will show later on the Output vs Runtime part, tout de suite! 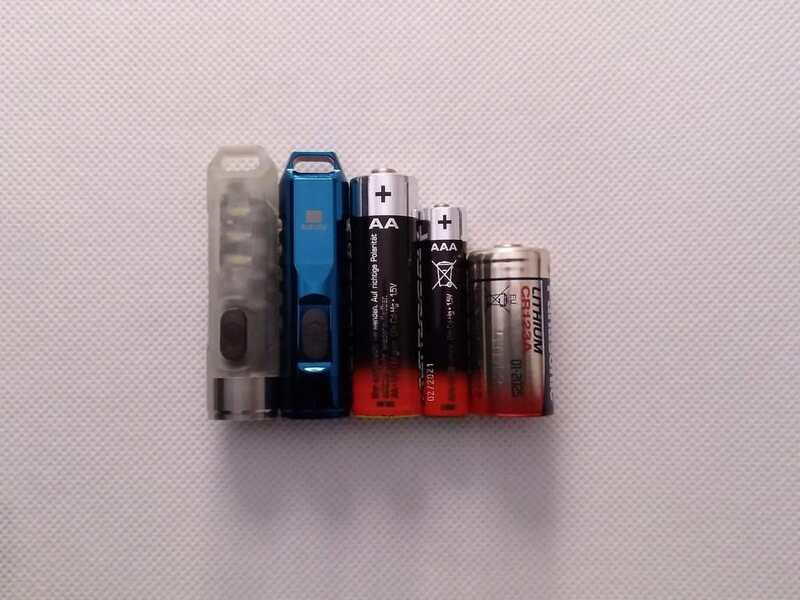 As seen here, the modes and levels’ sequence are different, as is the flashlight’s operation. 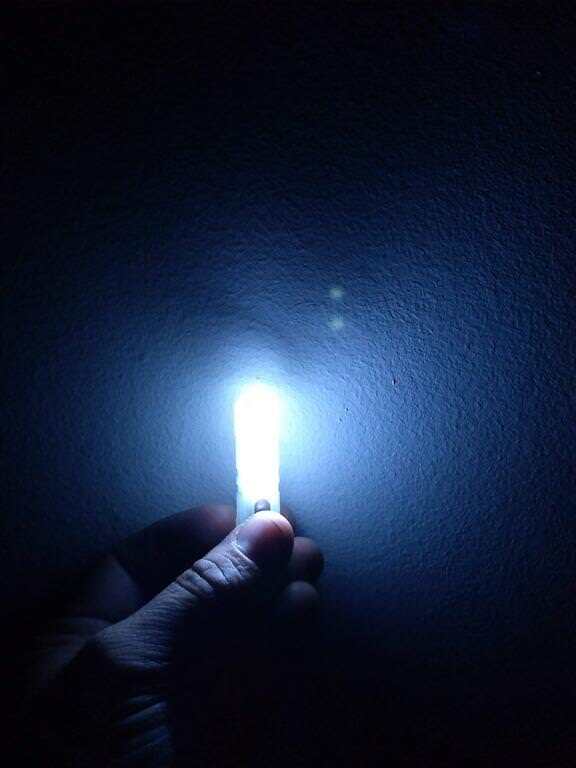 - Long click (0.5 – 1 second) turns the flashlight ON. - Long click (0.3 – 0.5 seconds) will turn it OFF, from any mode. 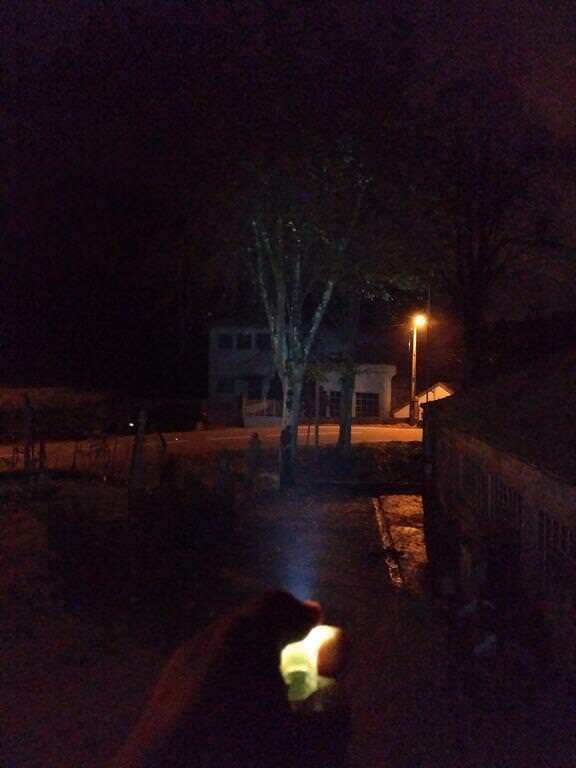 - Long click (0.5 – 1 second) turns the flashlight in Momentary ON in High level. When released, it will turn OFF. - Double click (from OFF) enters the “regular mode”, and a “single click” will cycle through the levels as shown on the table. 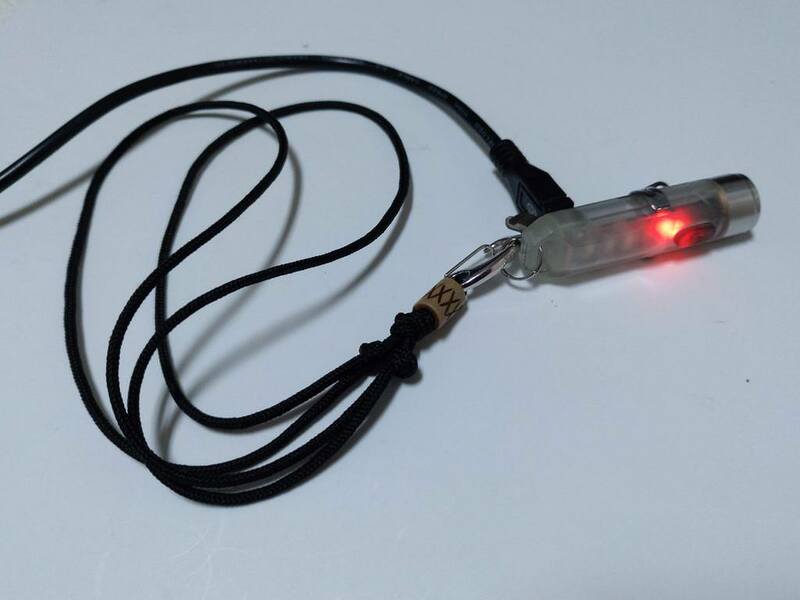 - Triple click (from OFF) will light up the side LEDs and a “single click” advances on them, first the white LED, then the constant RED and then the Blinking RED! About the Output vs Runtime, here’s another summary! Please note that there are small differences, as well, on the Lowest mode. 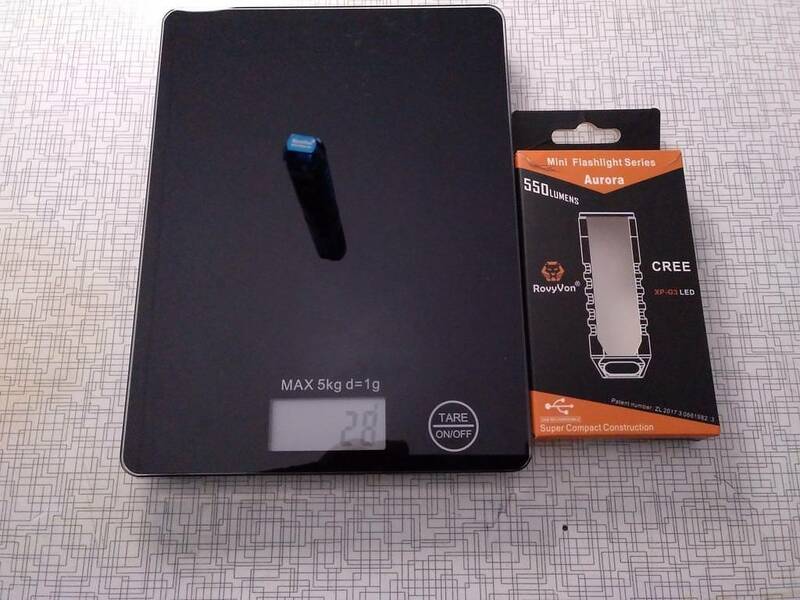 This said, it is obvious that these flashlights will not be able to keep the highest outputs at their max for a more than some seconds, both due to the battery, the body construction and other factors , for sure! A last word for Charging! 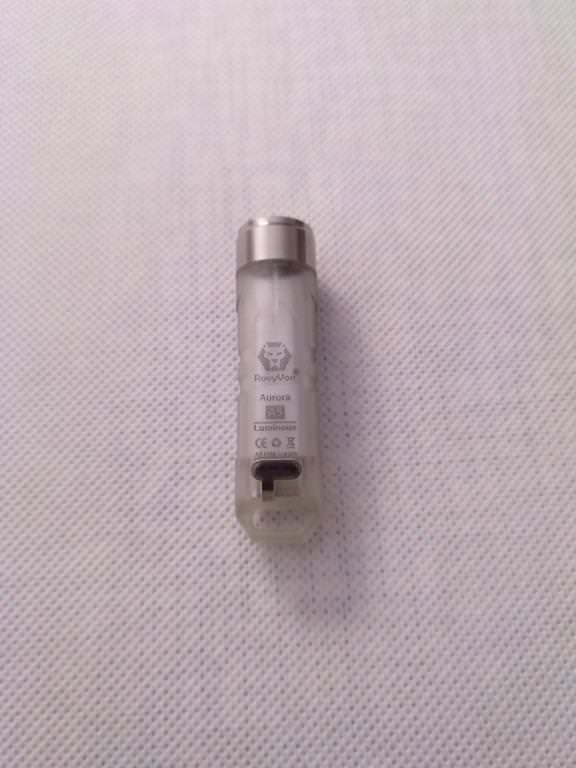 As mentioned above, these lights have a charging ratio of 350 mA / 5V. They will charge in 45 minutes according to specs. 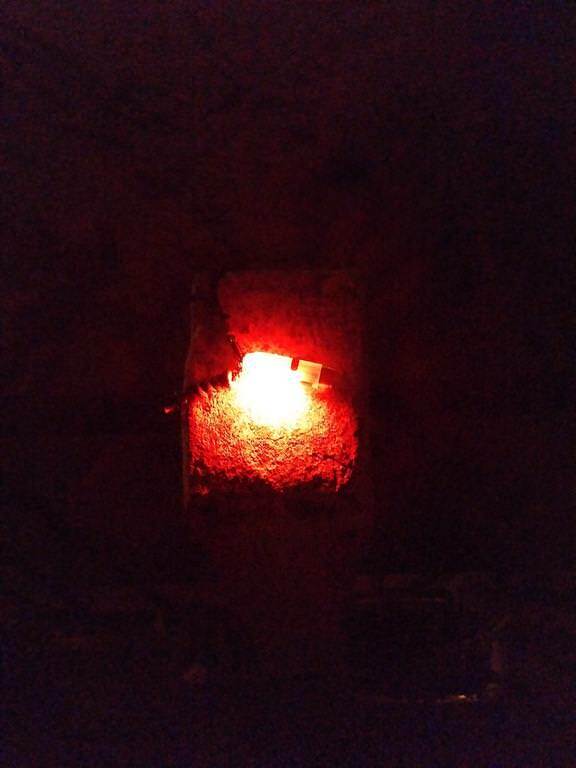 When the flashlights are charging, a RED light will be ON. 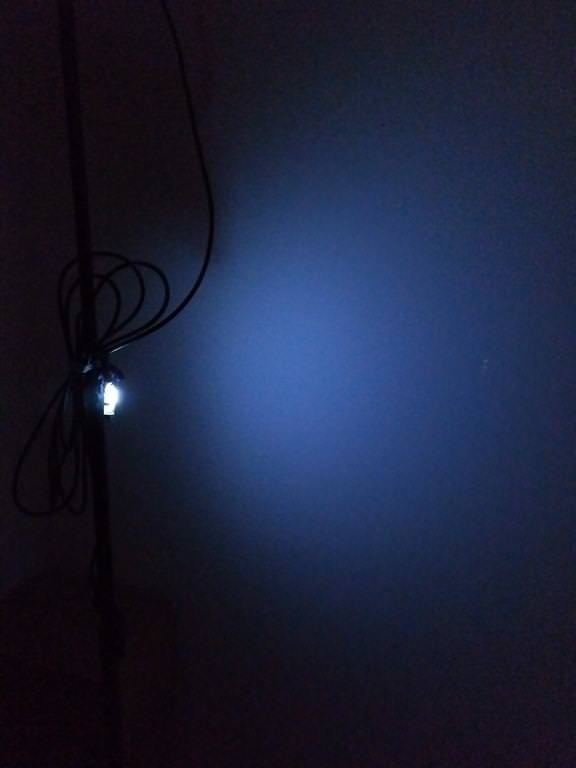 When charged, a BLUE Light will turn ON. 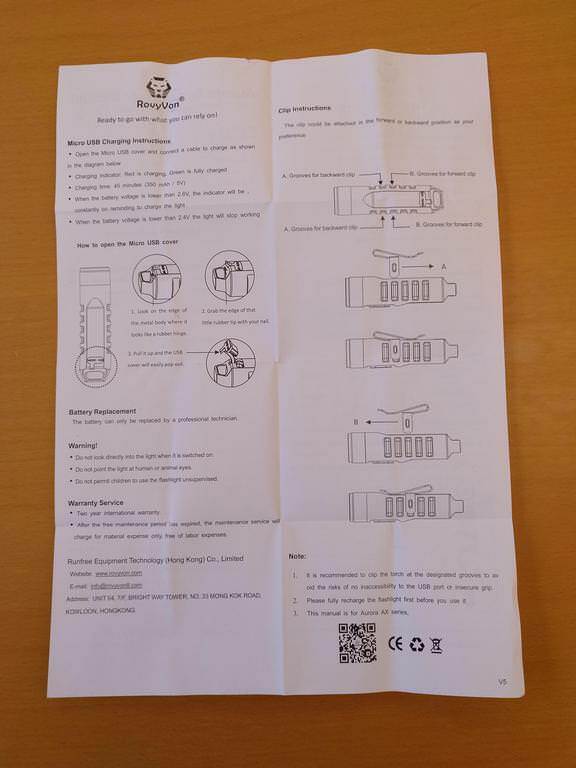 To plug the micro-USB cable, the cover needs to be pulled. It has a small tip pointing towards the tail so that grabbing becomes easier! All levels have PWM. 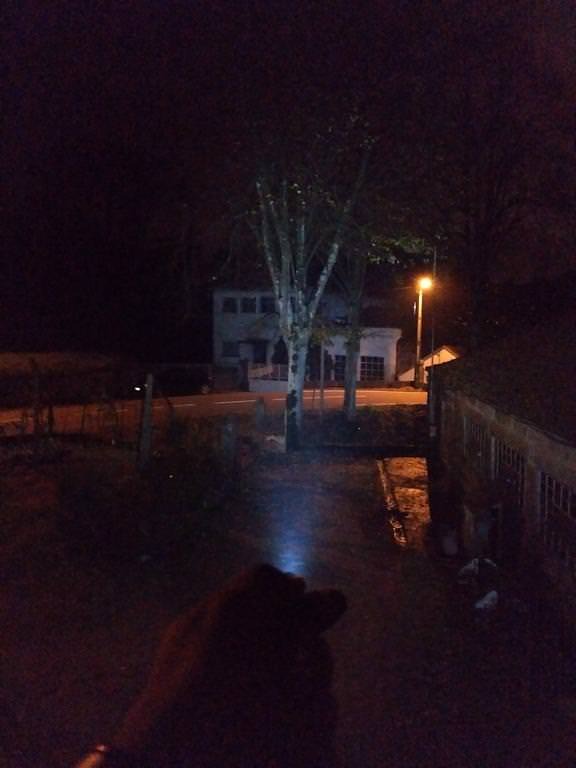 Despite in High it seems to be absent, after some seconds the lines started to appear on both flashlights! Some photos on how they look! I normally use the white LED when I need a dimmer light and don’t want to turn it on the Lowest mode! Pretty useful! 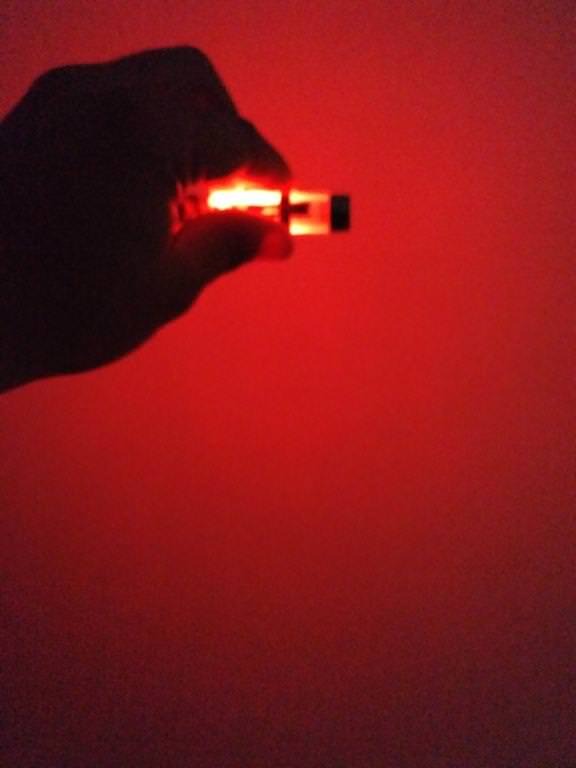 The RED, I use it less, but it is useful in night vision environments!! 1) Overall construction. 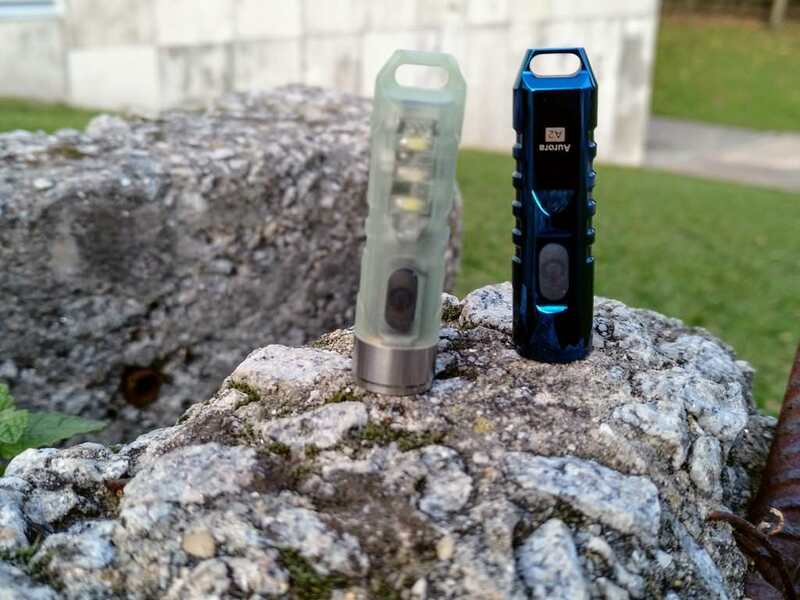 These are well built flashlights, that despite their size seem quite resistant and capable of getting “beaten” in a pocket or keychain! 3) Reliability. I’ve been using the A5R for some weeks now and it has been working pretty well. Used several times a day, with a charge about 2 weeks ago, and it is still working fine. 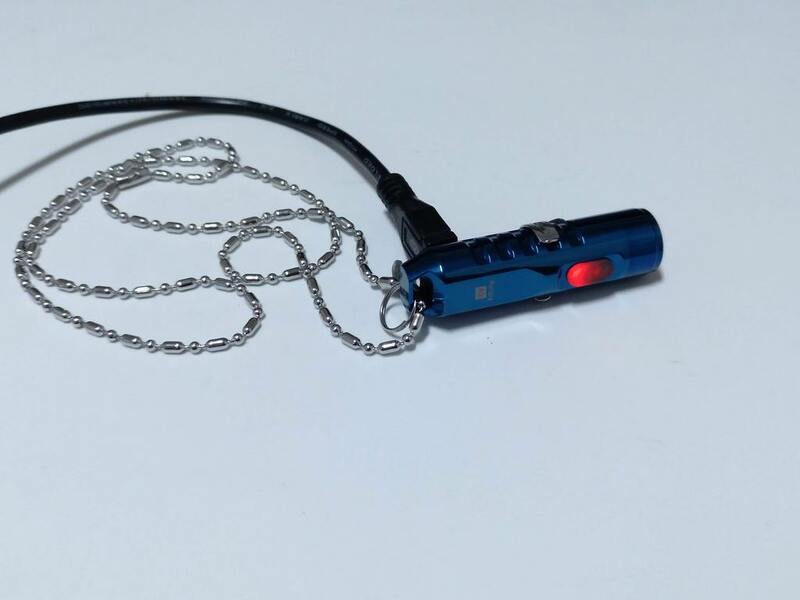 Also, it’s design allows it to be ready to use whenever I want or need, either from a pocket or from the neck Also, I guess it must be mentioned that the e-switch is perfectly operated on both lights, both for single or multiple clicks! The timing doesn’t fail, so firm clicks must be done to change modes or Turn ON/OFF! 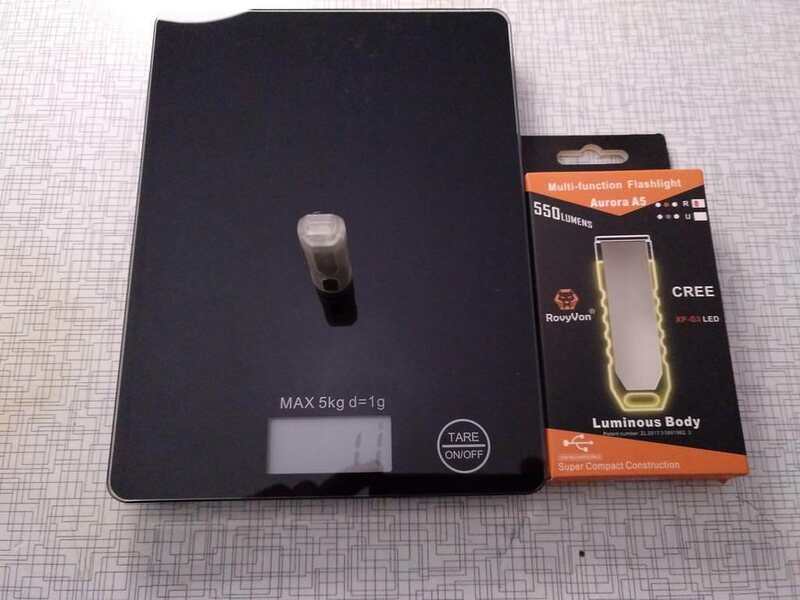 7) Luminous Body on A5R. I love GTD things, so for me this is a big plus on the A5R. 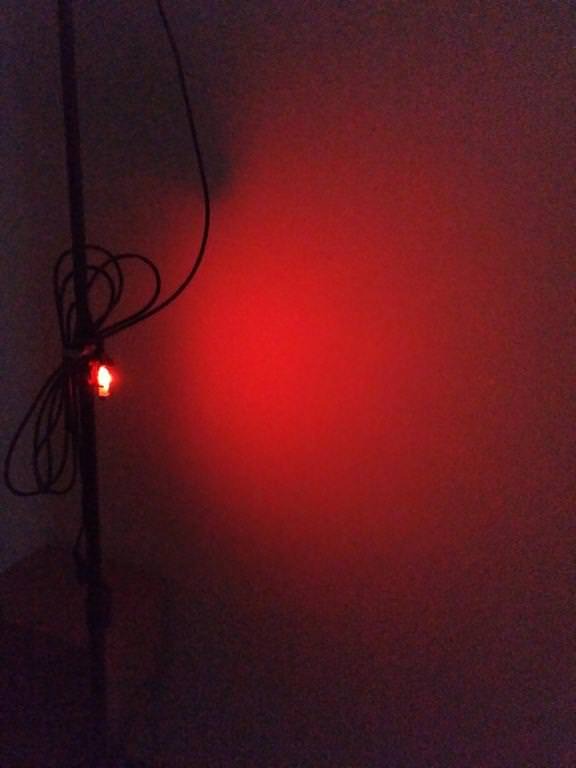 The glowing will last some hours (2 / 3h, but didn’t test it), but the simple idea of having something that you’ll be able to find in the dark when lights are out, pleases me !!! b) Strobe in the main sequence is also a “no-go” option that many of us will reject from the beginning. So…I always go up to High and then I fast clik to get Low again, to pass Strobe quickly!! Besides this, despite the “long presses” for ON/OFF are somehow “annoying”, I do understand and accept the reason why the lights work like that, to prevent accidental activation in a pocket. 2 – The Emitters. Well, XP-G3 LEDs normally provoke a green shift in the beam (even XP-G3 5000K 90CRI) so the one of the things I would change along with the UI would be the emitters. I wouldn’t mind to stay with Cool White if they didn’t provoke tint shift. 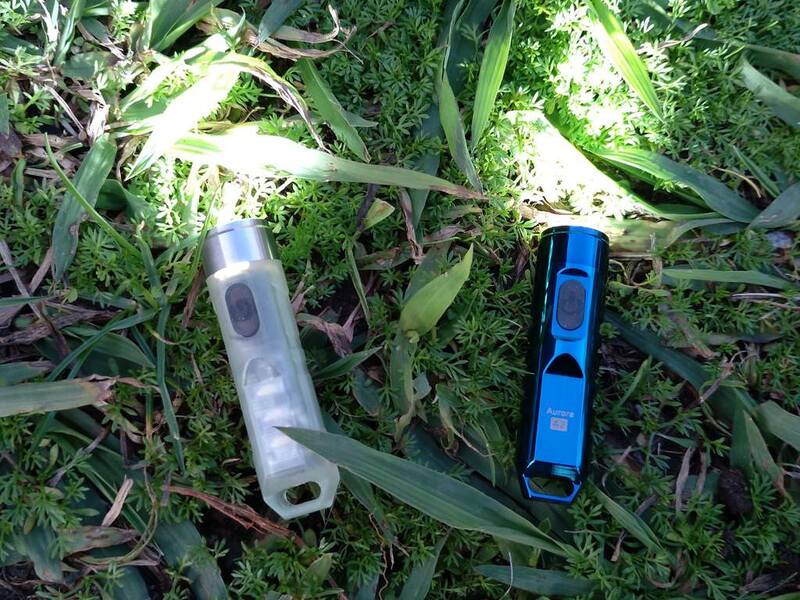 However, Neutral White emitters would fit these flashlights better. In a glimpse of desire, 90 CRI would be top notch. 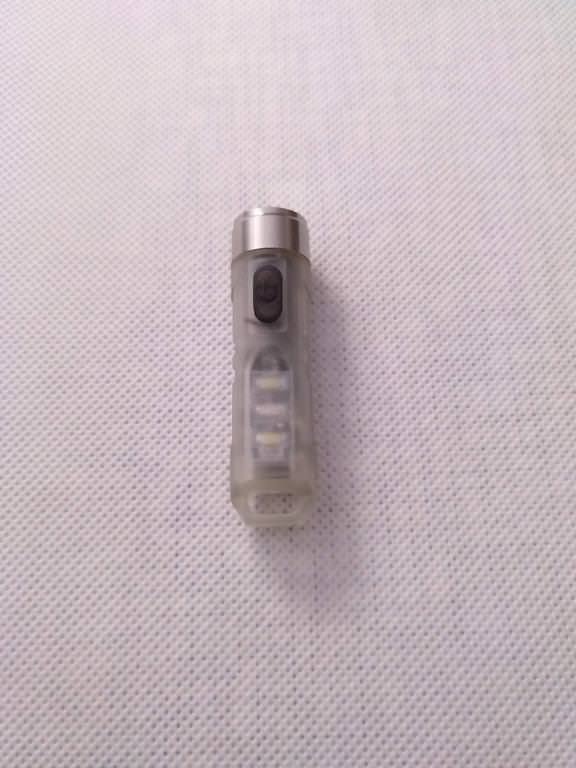 And currently, we may not consider other high CRI LEDs like Samsung etc as we do not have a source for these kinds of emitters. 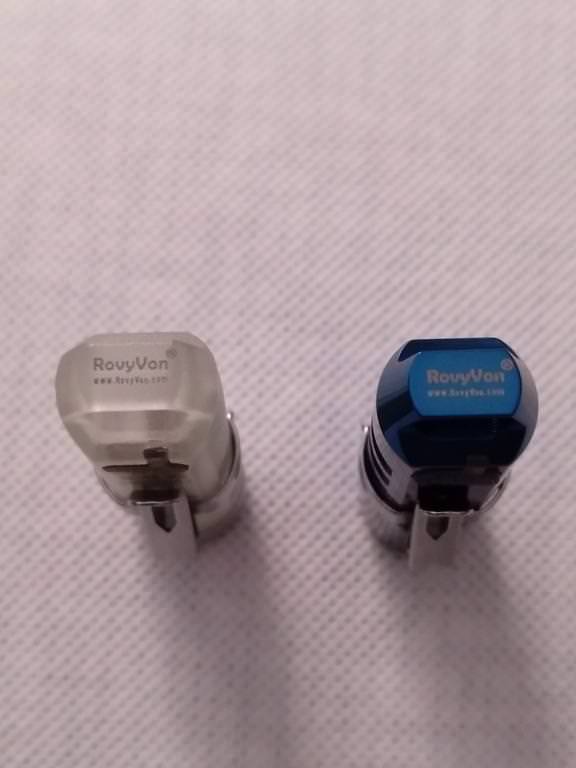 After the review, another thing has to be said about RovyVon that is about the easy and friendly communication! 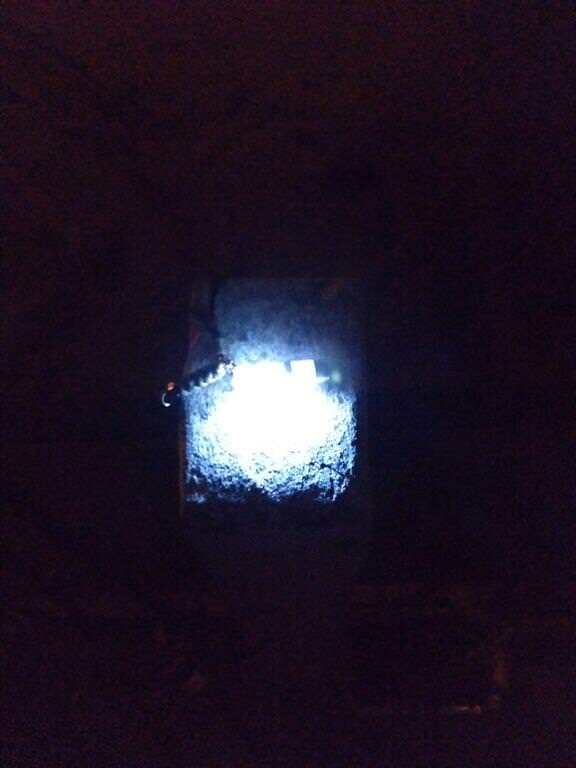 I’ve been in contact with them due to the RovyVon Angel Eyes E300s flashlight Group Buy and all the answers and details have been given and clarified! 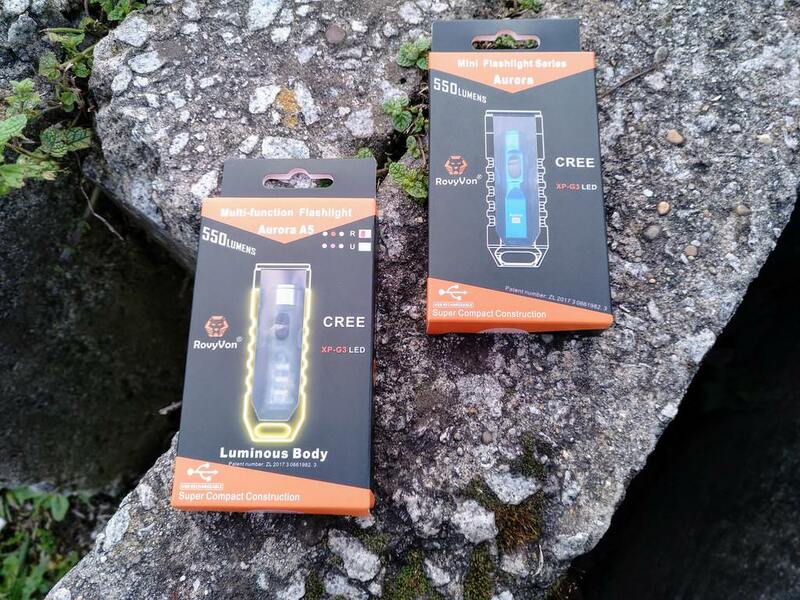 Another manufacturer that must to be recognized by the community, at least for the “innovative” or fresh input in flashlights’ world and their “friendliness”! Thanks again for this opportunity RovyVon! Very thorough review! Great job! I have the A5, (with the additional red light), and a red A3 and just love them. 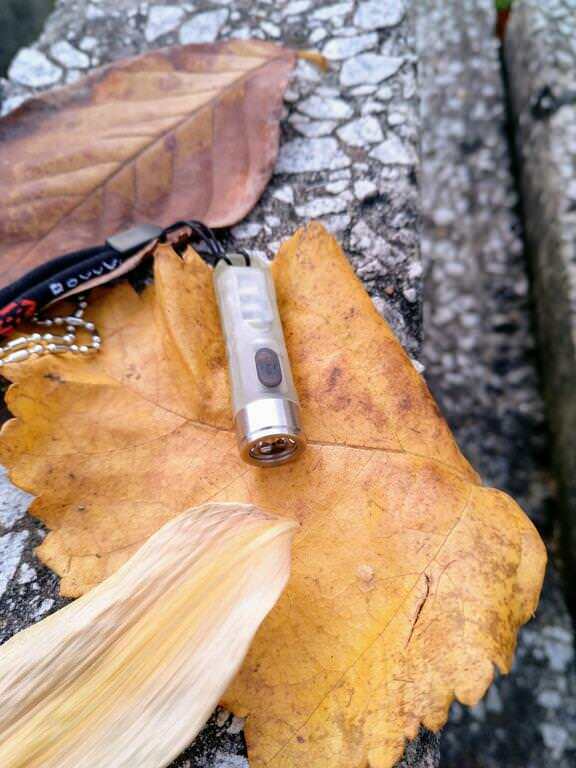 What great, tiny and lightweight lights! To my eyes, the XP-G3 emitters are fine. I like CW and my examples are pure white with no blue/green and no tint shift that I can notice. There will be some that will balk at the lower capacity of the built-in cell and that it’s non replaceable, (but that could be overcome ). 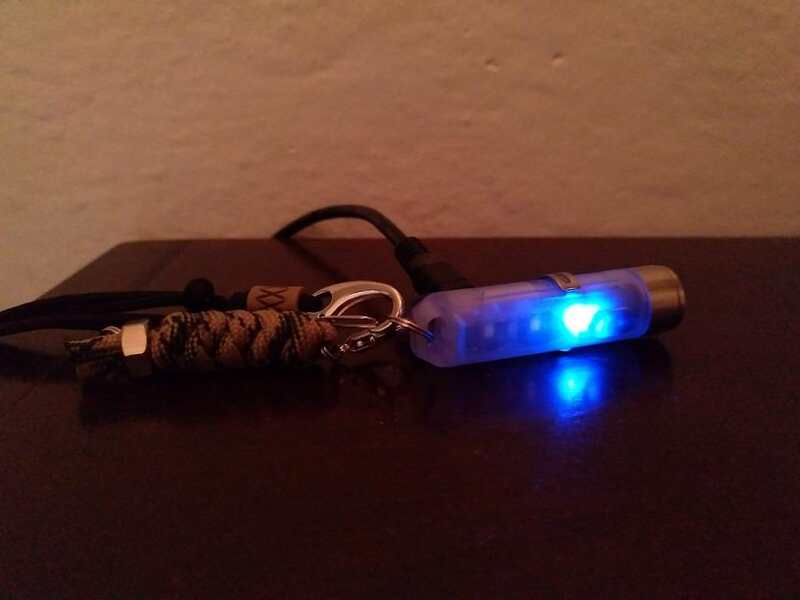 With all the accessories that come with these and the tiny size, anyone looking for an incredible keychain or necklace light, should give these a serious look. Concerning the capacity of the cell in these, like you I’ve been using mine on a regular basis and on a single charge, they go for a good while before needing charging. I also agree that RovyVon’s customer service is top notch. Rapid response to emails and willing to quickly correct any problems, if any. 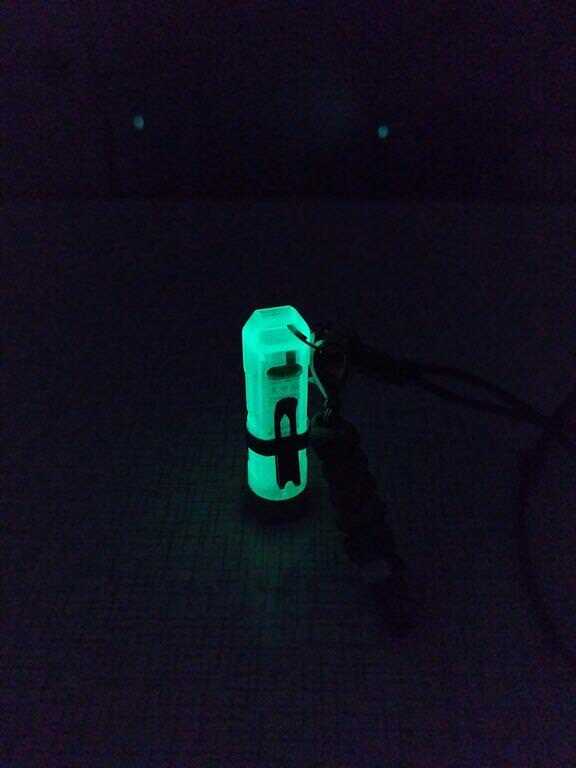 I guess the cell will be a concern if we are thinking about using it as a “primary” flashlight for extended use. Other than that, for our regular bursts or daily use in short periods of time, we’ll manage to use it well and make it last ! 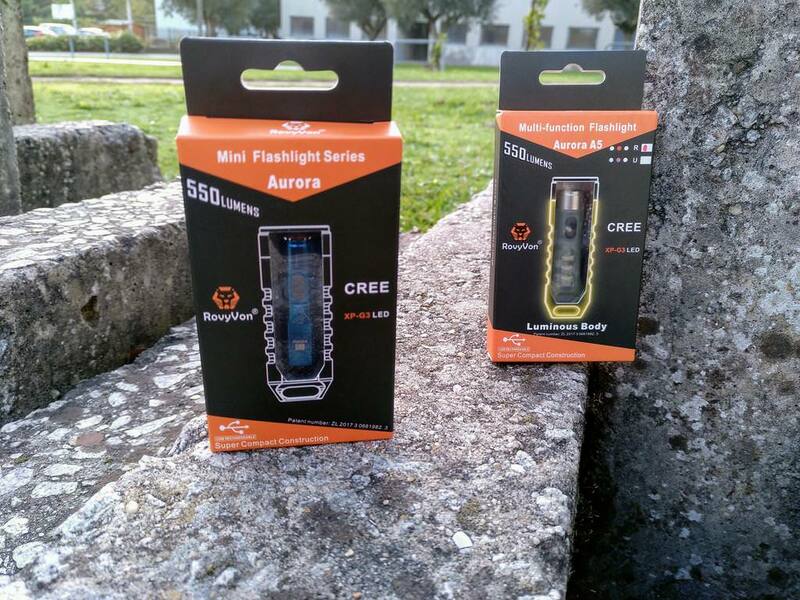 I guess we would get a bigger light if we wanted more runtime (Nitecore TIP or similar comes to my mind). This one is small and puts a good amount of light so it serves the purpose! Really enjoy your reviews MascaratumB, thanks! 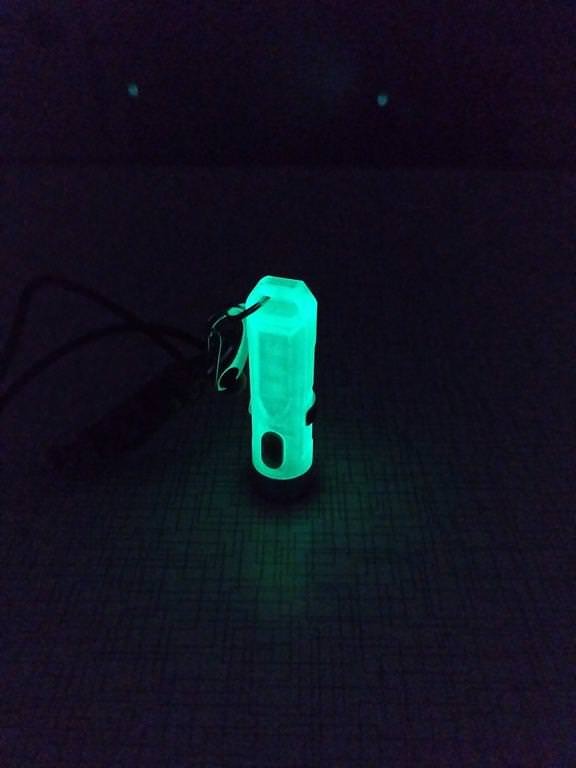 I guess the cell will be a concern if we are thinking about using it as a “primary” flashlight for extended use. Other than that, for our regular bursts or daily use in short periods of time, we’ll manage to use it well and make it last ! I guess we would get a bigger light if we wanted more runtime. Luckily, I’m not a “tint snob”. I’m one of those strange ones that just want my lights to be pure white and light up the darkness and don’t give a hoot about tints. If it’s white, it’s right. To each their own and that’s what makes it great around here. 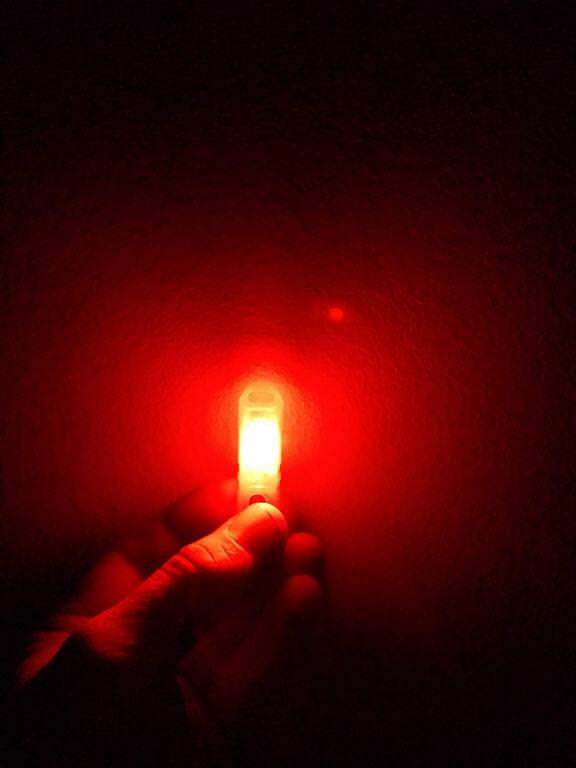 I agree that these tiny lights are for intermittent use and are so handy for what they are. I have other lights when I want long stretches of use. 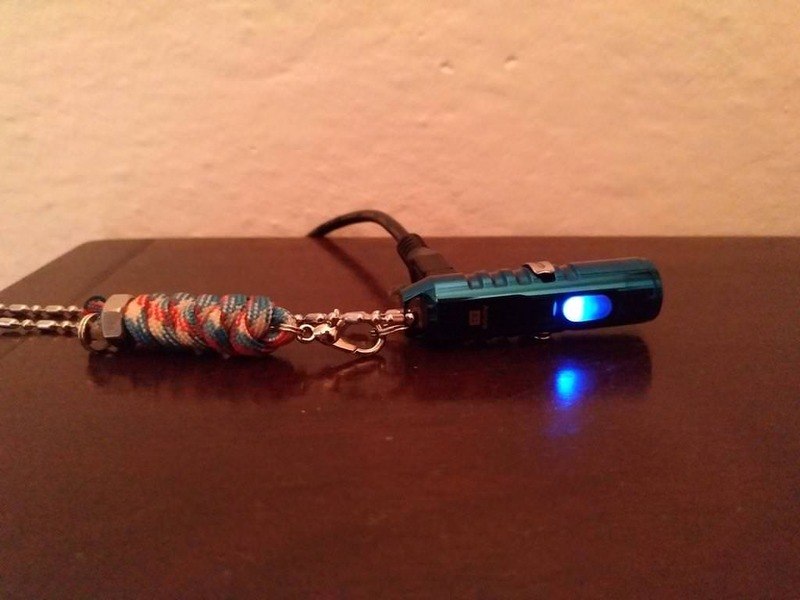 I don’t have many keychain lights, and with “similar” characteristics I only have the Nitecore TIP, that I have attached to and adjustable 2mm paracord lanyard so that I can use it on the neck as well! But the compactness of the Auroras win over the TIP! And being for short use at a time, I find them perfect!! Even with the UI “issue” (Strobe) I find them winners! I will bankrupt before Christmas…. Thanks for the review! How long does the glow last? Hum, the glow will last about 2-3h as I mentioned above! 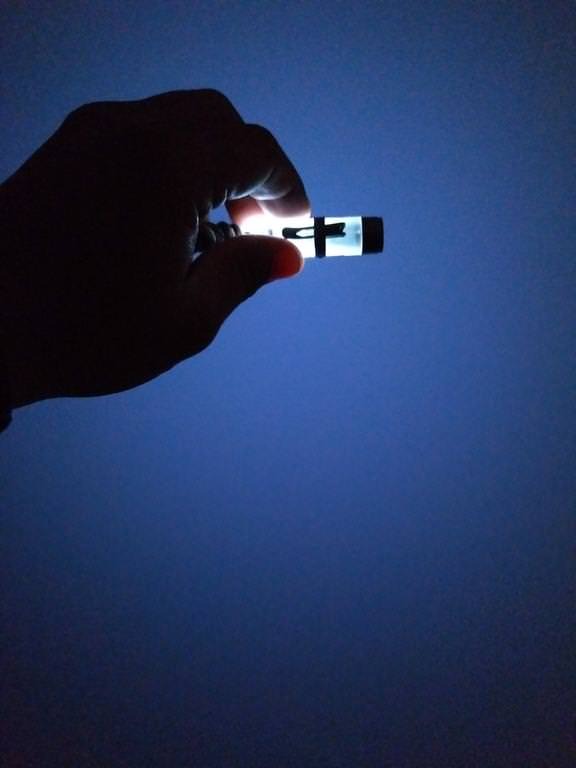 I didn’t do a “test” to see that, but while I was writing the review (that took a while) I lighted the A5R with my UV flashlight, and put it hanging on my bedroom’s door, in the dark. After a while I went there and could see it, so only in the end of the review I could go there again I could see the glow in the dark. Oh…well…read too quickly and somehow missed that part. Oh…well…read too quickly and somehow missed that part. Thanks! Great review, MascaratumB! Your details were very influential on my decision to buy the A8. I wrote a review on the A8 A/B/R. I also like your outdoor shots. By the way, given your location being Portugal, have you been to Madeira? Looks beautiful. You did a fine job of taking photos of the PWM effect. I do see some of it in my A8, but I consider it mild. When looking at the illuminated subject and moving it, like a hand, I don’t notice PWM. It’s only when the reflector is in view and I move my eyes from side to side that I can see the PWM pattern (for moonlight and low). It would be nice if that wasn’t present at all, but I have seen worse PWM by some lights by other brands. 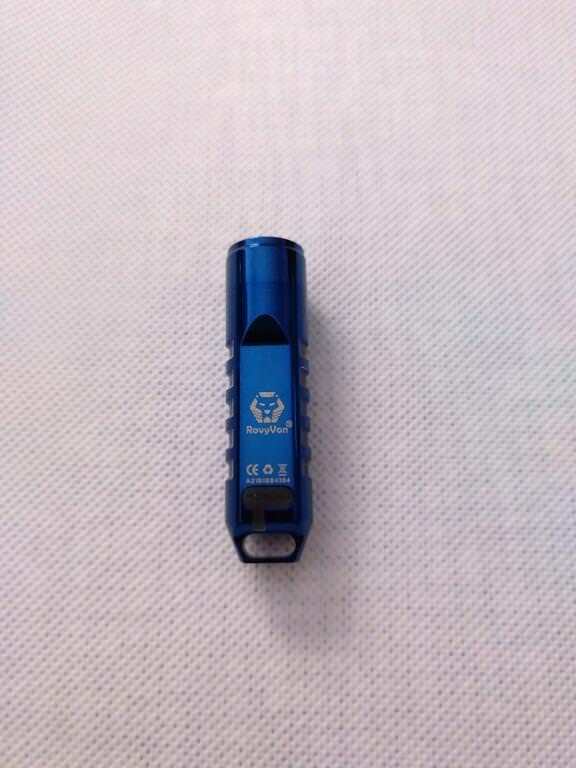 My feeling is that if RovyVon can hide it altogether, it would create a better “feel good” among the flashlight community. But obviously, the average person who buys this isn’t going to notice it. 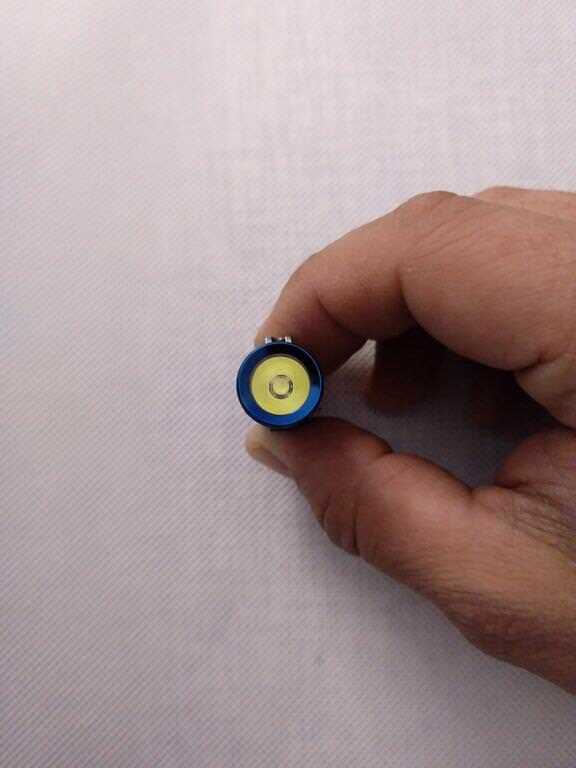 I have been in touch with them and I made the suggestion for a possible larger battery in the next release of the A8 (or A9). I went to comment your review already! I had different expectations for the A8 ABR , namely the UI, as I mentioned there! Hum, I get what you say about PWM! I don’t notice it unless I use the camera/cellphone! But when I do…it is somehow annoying! Specially to compare beams. 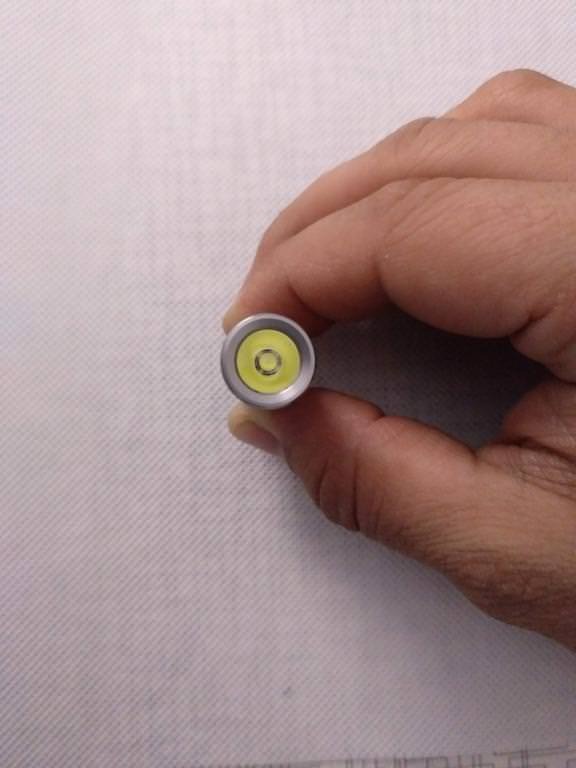 They may increase the battery, but that will also make the flashlight bigger. 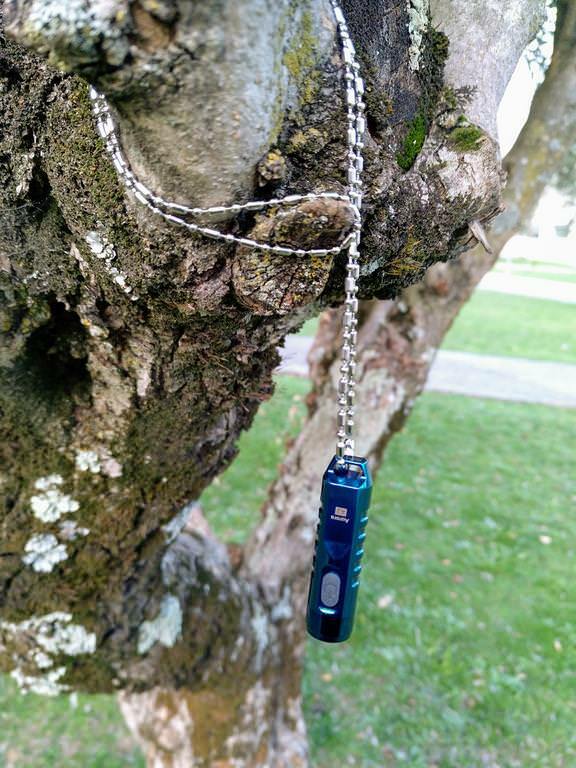 I have no problems with the battery so far, as this is a keychain or neck light, not the primary one! But I do get your point! You’re welcome, and thanks for your comment. I made an update already. I wouldn’t mind the body being increased slightly. 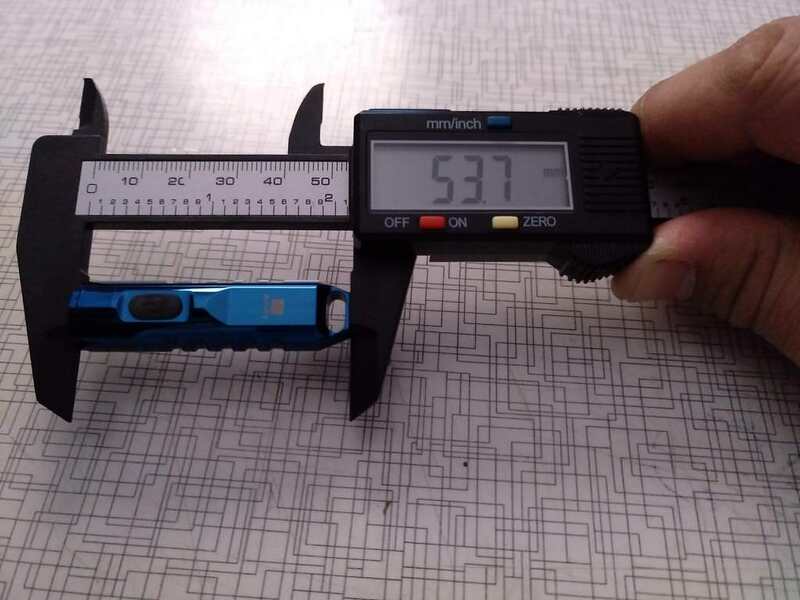 It’s already so very small, that perhaps 2mm wider would still be fine. 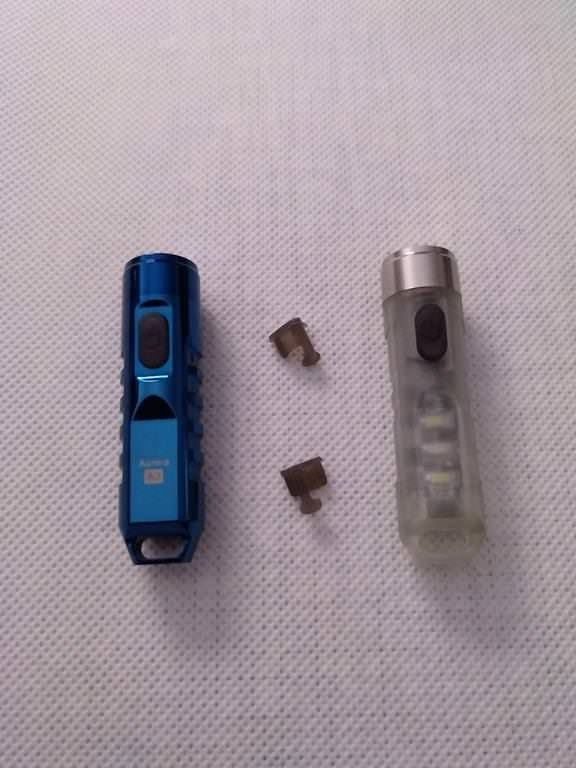 I had tucked it in my pocket with keys for half a day and when I looked at it under magnification, I could see a few small nicks in the polished polycarbonate directly over the side emitters. So that had me a little concerned. I am going to put some vinyl film over it for protection. I’m also impressed by how the head doesn’t get too hot to handle even after running for several minutes on high. Thermal regulation works well. 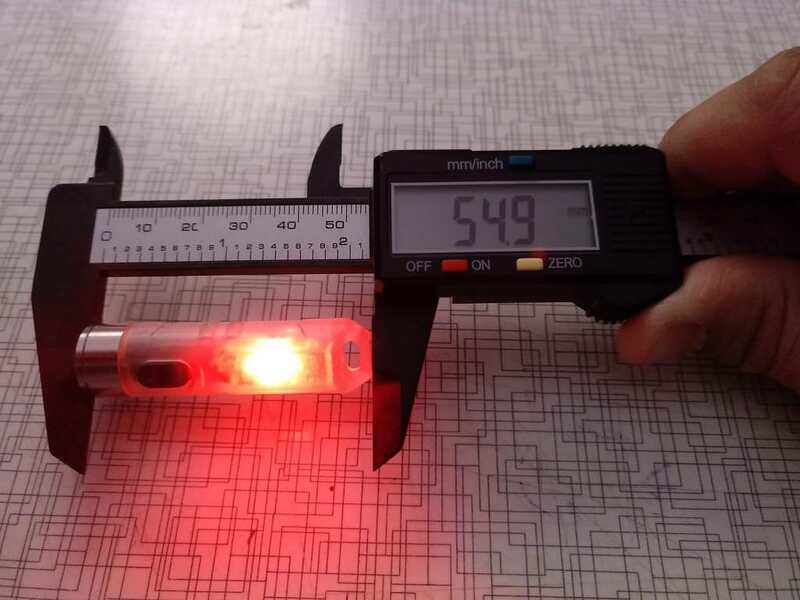 Supposedly the Samsung LH351D emitter is more efficient than the Nichia, so perhaps that could be installed in a future version for even longer runtimes. 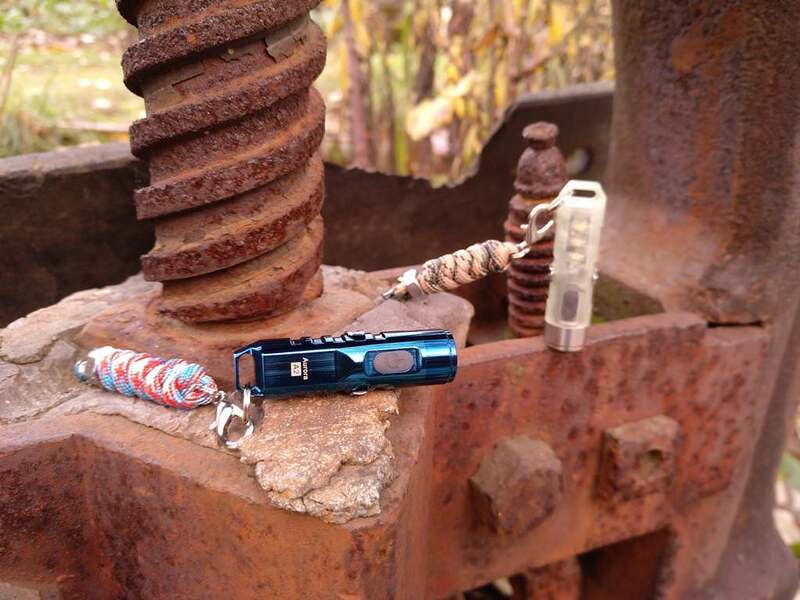 But again, overall for the mini-EDC purpose, the A8 is a brilliant light. 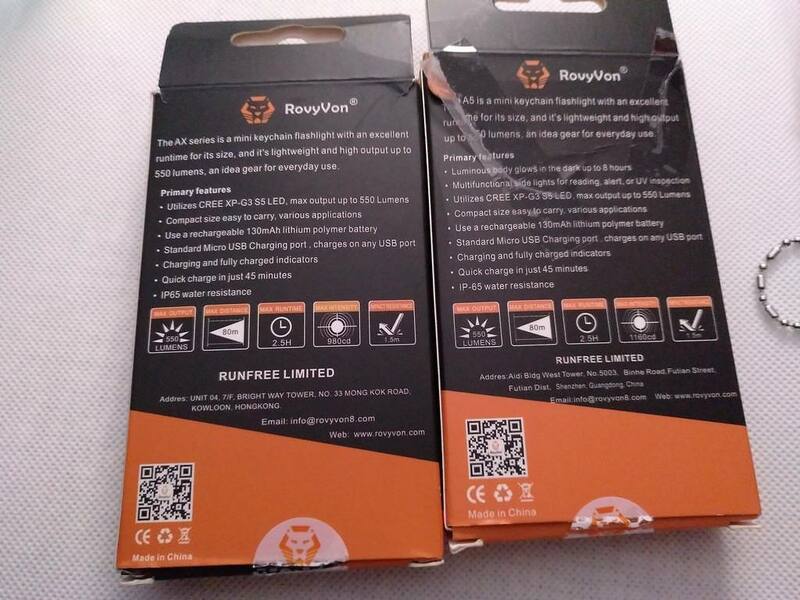 RovyVon is a very small company compared to the “big league” light makers, but I hope that changes. 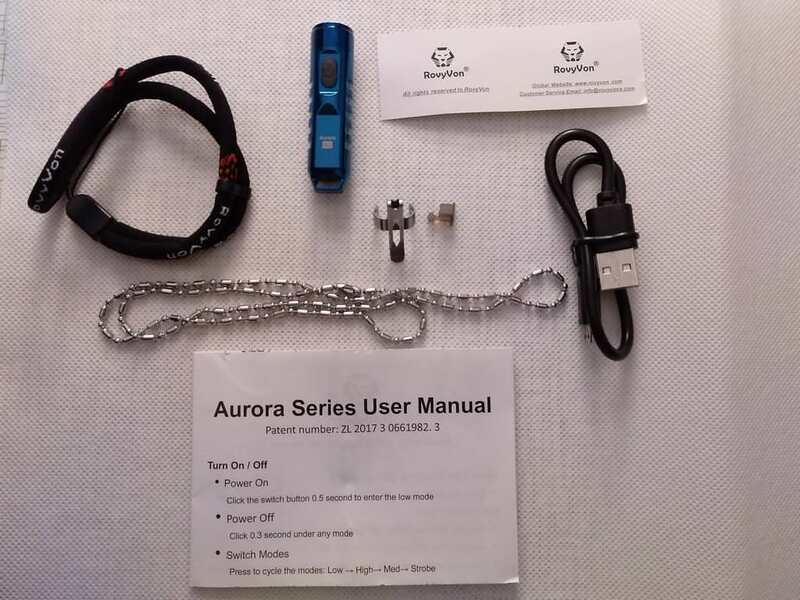 More people need to know about the Aurora line. It probably would have taken a lot longer for me, if my Nitecore TIP CRI fiasco hadn’t happened (2 bad lights in a row, which forced me to look elsewhere).